This is an unique and eye-catching triple-strand bracelet which was carefully handcrafted. I used cultured freshwater pearls in silvery coins, golden marquises, and gunmetal colored potatoes, Lava Stone beads, and shell disc beads. Balinese artisan made sterling silver bead, spacers, connectors, and clasp were also used to embellish and create artistic appeal. 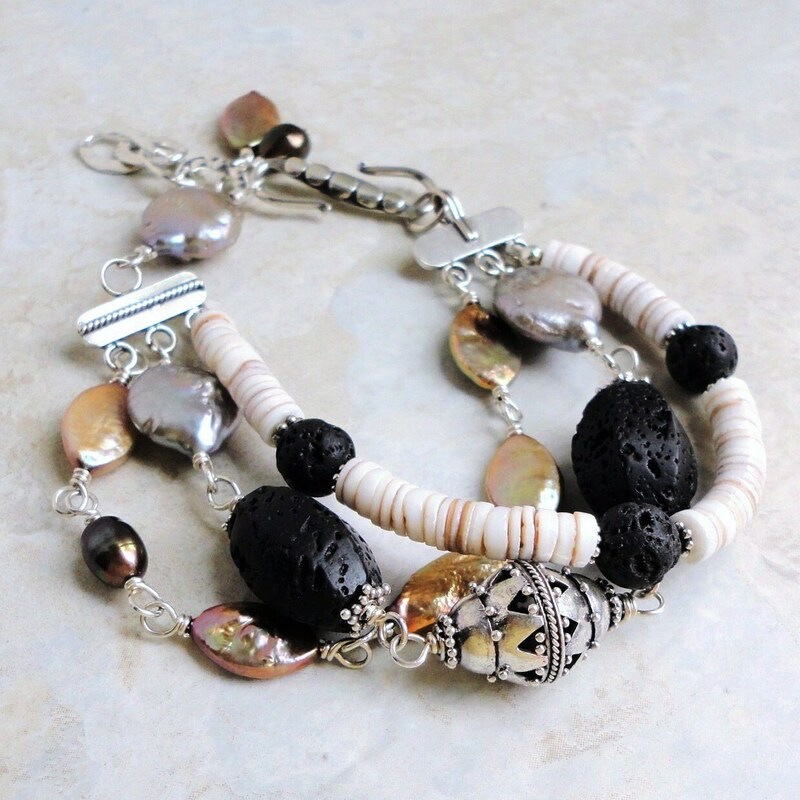 This bracelet is adjustable with the clasp and hammered like textured large links with pearl dangles at the end. Metal parts of this bracelet are all .925 sterling silver. Stunning piece of work! Note: Bracelet size above is the inside measurement of bracelet when its clasp is closed to form a loop. It is NOT a total length from end to end when stretched out and laid flat. Please measure your wrist and make sure it fits your wrist comfortably. Sorry! Re-sizing is not available on this bracelet. Beautifully crafted bracelet. This piece was definitely made with love! My mom is going to love it. Thank you!